Privacy buffs squawked, as they should've, but the collective hand-holding enabled some killer new perks that otherwise wouldn't have happened. Witness: The oh-so-awesome Google Now. And Monday, Google announced that it's doing away with its previous mish-mash of cloud storage options across its major services to give users a great big, unified data dumping ground. Before, Gmail users were given 10GB of free storage space, which was kept wholly separate from the 5GB of cloud storage handed out to Google Drive users. Now, you'll get a flat 15GB of free storage, and you can fill it up with whatever you'd like, in whatever proportions you'd like. 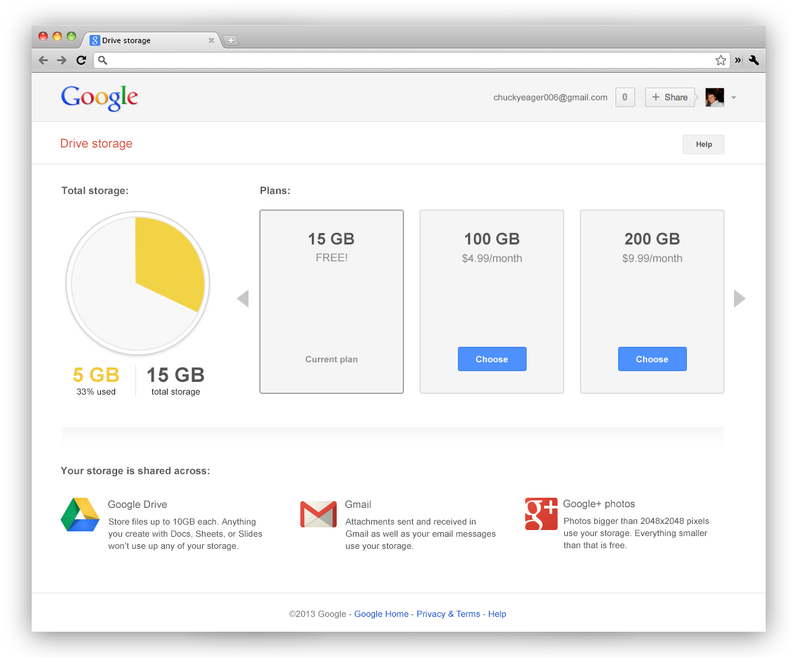 (Google Apps users get 30GB. )The company plans on rolling out a new storage settings visualization tool to help you keep tabs on which services are sucking up your digital data allotment. Google cuts heavy Google-ites a big break, too. Any documents, slideshows, or presentations created using Google Docs won't count against your storage limits, nor will any uploaded Google+ photos measuring 2048-by-2048 pixels or smaller. If that sounds like your preferred use case, congratulations! You basically just received a gratisGmail storage bump. 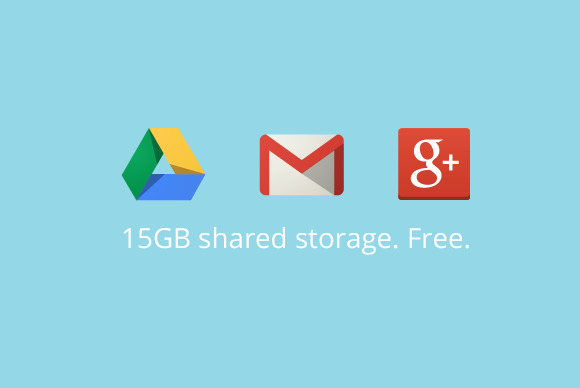 Breaking down the storage worlds makes a lot of sense in the increasingly connected Google ecosystem. Expect your digital worlds to start colliding sometime "over the next couple of weeks." Until then, feel free to spend your time reading up on how Google Drive compares to Microsoft's SkyDrive service, which received a performance boost of its own Monday.